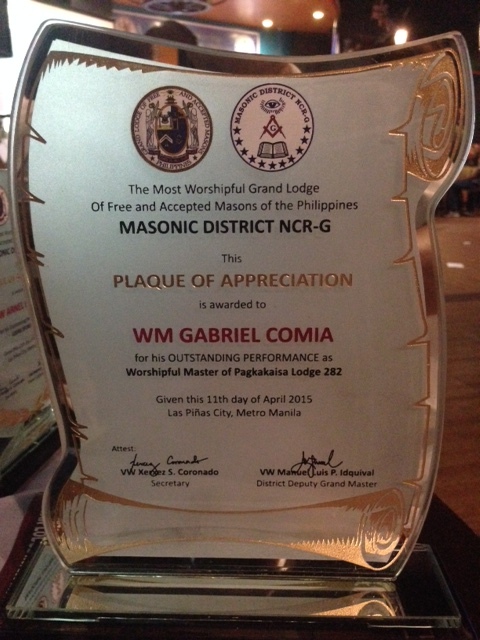 During the April 11, 2015 Masonic District NCR-G Awards Night, I was awarded a Plaque of Appreciation for the Outstanding Performance as Worshipful Master of Pagkakaisa Lodge No. 282 for the year 2014. 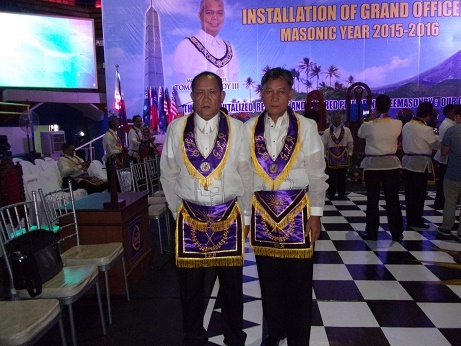 I would like to thank the District Deputy Grand Master Manuel Luis P. Idquival for the appreciation of my service to the Lodge and to the District. 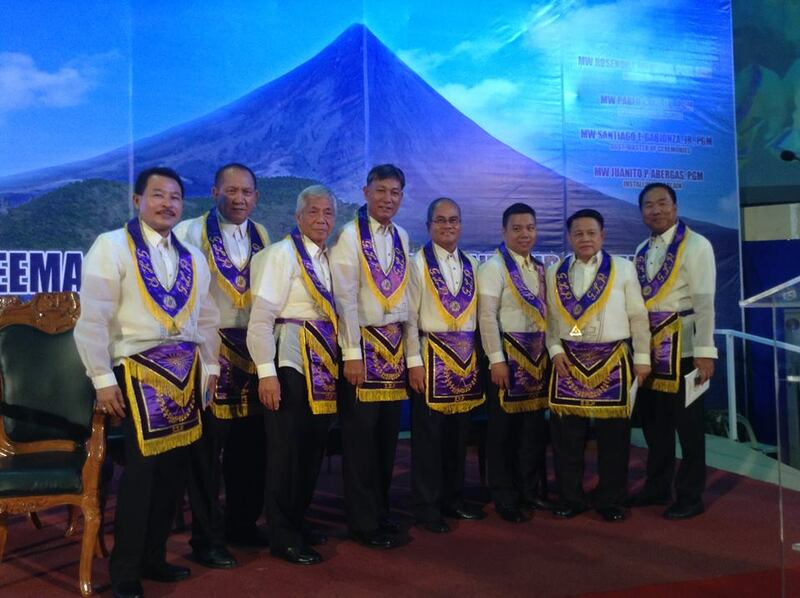 I would like also thank the Pagkakaisa Brethren for supporting my term as Master of the Lodge. Likewise, the GAOTU for the guidance and the Father’s care.